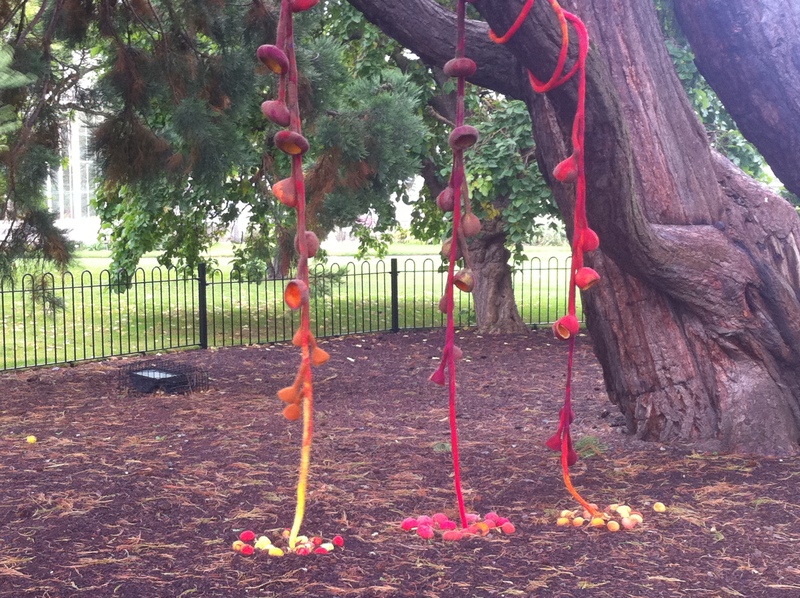 Amongst all the interesting sculptural pieces in this year’s Sculpture in Context show in Dublin’s Botanic Gardens are two very different felt pieces. Andrea Cleary has a magnificent (and enormous) felt sculpture close to the entrance gate and Gina Faustino has a very delicate tiny felt sculpture in the gallery of the visitors center. Congratulations to both of them. 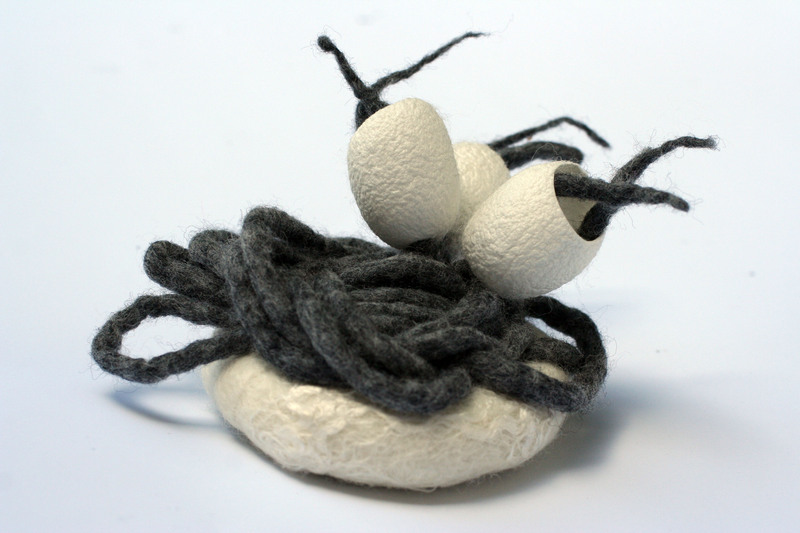 Andrea Cleary "Redwood Spore Drip"
Gina Faustino "Cocoon I -Nest"